Good news, everybody! The canned food drive has been extended by one week! You can still receive up to 10% off your next auto service when you bring a canned food donation to the Service Center at Kendall at the Idaho Center Auto Mall until Saturday, March 9. 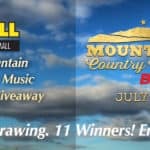 All donations benefit The Idaho Foodbank. 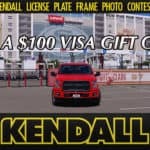 Discount up to $100 off. Lucky day! 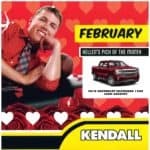 Get a Kellendar! 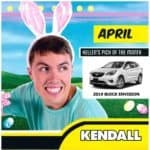 Kendall at the Idaho Center Auto Mall is holding a canned food drive from February 16 through March 2 to support the Idaho Foodbank. Bring your canned food donation to the Service Center at Kendall at the Idaho Center Auto Mall, where you’ll receive 10% off your next service, up to $100 off. All food donations will go directly to the Idaho Foodbank. You asked for it, and we’ve got it for you! 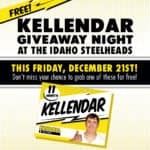 Join us at the Idaho Steelheads hockey game this Friday, December 21st, for a chance to get your FREE Kellendar from Kendall Auto Idaho. 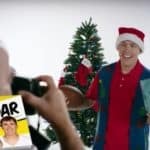 The Steelheads will be hosting the Utah Grizzlies and you’ll have a chance to take home your very own 11-month Kellendar…. 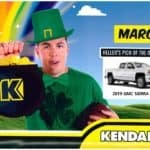 Watch Kellen Moore pitch the 11-month “Kellendar” to Kendall Auto Idaho. What do you think of his idea?